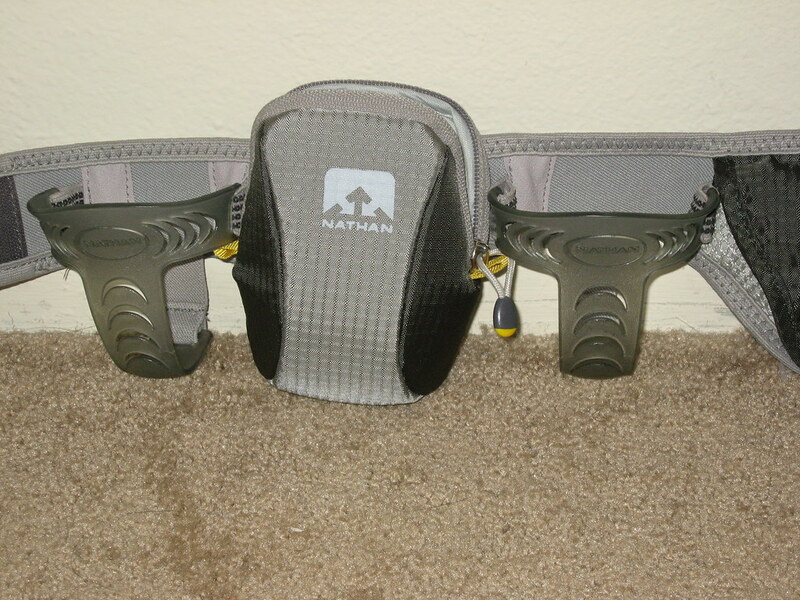 I love my Nathan Speed 4 hydration belt. It got me through my Team In Training training and through my very first marathon. It's comfortable and it doesn't bounce at all. 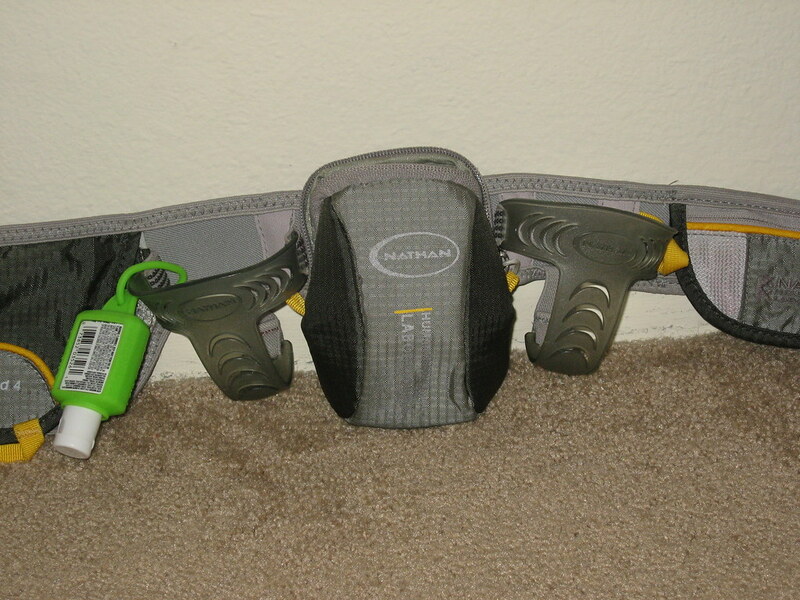 I loved that I was able to add a pocket for my camera and another pocket for my BodyGlide and spare socks. It never chafed and it always stayed in place. The only problem I had with it was that the bottles would pop out when they were empty. I think this was due to the fact that I always freeze my Gatorades and water and the bottles expanded and stretched the plastic compartments. 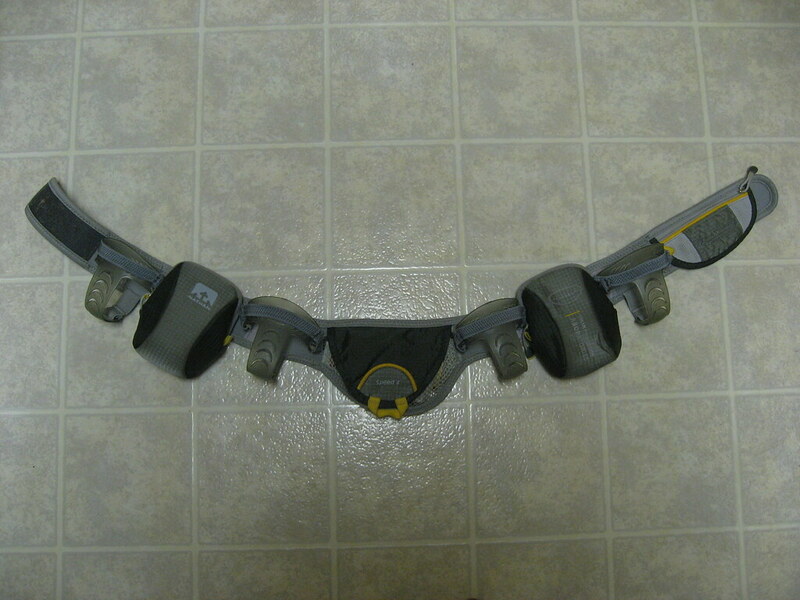 One day when I was out running, I saw a runner wearing a Fuel Belt and noticed it had little elastic bottle cord locks on the two front bottles. I realized that's exactly what I needed on my belt. I went to my local fabric store and looked at their elastic section but it was extremely limited. They sold white and black elastic by the yard in different widths but there were no other colors. I asked the salesperson if they by chance had colored elastic in another area but she told me she hasn't seen colored elastic in years. I really wanted a grey elastic so it would blend in with the belt better. I contemplated dying the white elastic and wondered if it's possible to color elastic. Then it dawned on me that hair elastics always come in different colors. I stopped at Rite Aid on my way home from lunch today and purchased a pack of Goody StayPut Thin No Slide Color Headbands. There were 4 headbands in the package, one black, one blue and two grey. it worked out perfectly. I love the Goody StayPut hair elastics - I use them every time I work out to keep my hair out of my face. They work really well and never slip off my little pigtails. 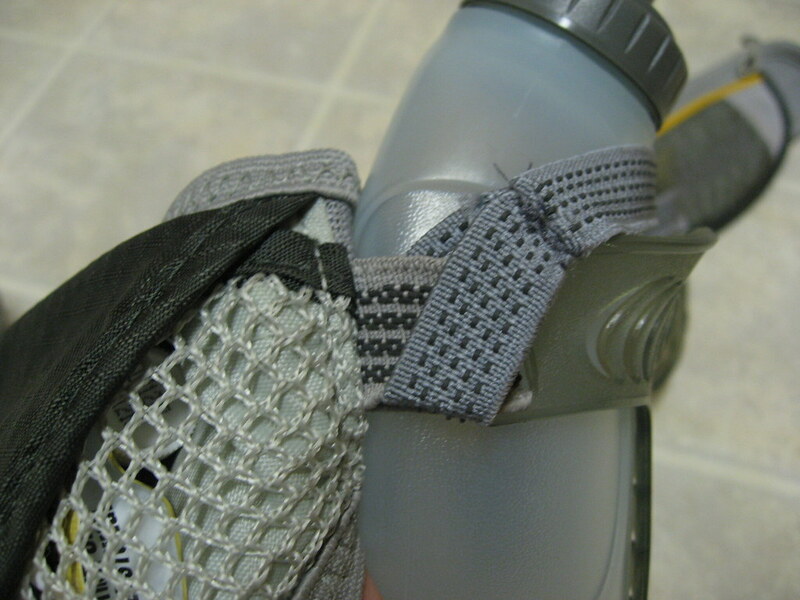 I cut the two grey headbands in half and then stuck them through the existing elastic loops on either side of the plastic bottle holders. Then I folded them up and sewed them. I wanted this solution to be something I could easily undo if I decided I didn't like it. At first I thought about sewing the elastic to the belt itself and having it come up over the neck of the bottle but I wasn't sure how my rudimentary sewing would work on a belt that stretches. The last thing I wanted to do was create a chafing situation. The funny thing is that by looping the elastic through the sides, I actually created enough bulk that the bottles are securely tucked into the plastic holders. At this point, I don't really need to wrap the elastic around the bottle. I figure with time, though, the elastic loops will stretch and it will loosen up.